The new 2018 Honda CR-V has launched in India. Here we be bringing instant updates straight from the launch event along with all the details that you need to know about the new CR-V.
As we enter the festive season, Indian-arm of the Japanese carmaker, Honda Cars India is all set to its flagship all-new Honda CR-V SUV in India and is also the second big launch for the company after all-new Amaze. The new generation Honda CR-V was first showcased in India at the Auto Expo 2018 in February 2018 and soon comes the market launch. The CR-V SUV has been a popular model for the company but the sales didn't respond well as it was available only in the petrol variant. This time around Honda has gone all aggressive and the new generation Honda CR-V will also get a new 1.6L diesel engine option along with fresh design and premium interiors. Here are all the updates from the launch of the new Honda CR-V.
New 2018 Honda CR-V Review: Least powerful diesel, yet, massively impressive! 2018 Honda CR-V has been launched in India and gets a 1.6 litre diesel engine for the first time. The new CR-V gets two seating options- 5 seat layout and 7 seat layout. 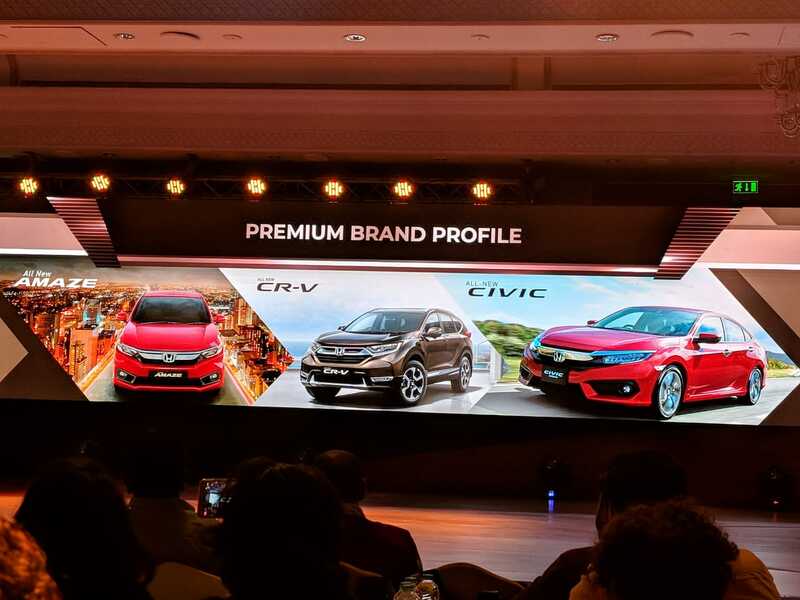 At the launch of the all-new Honda CR-V, Gaku Nakanishi, President & CEO, Honda Cars India said, "Today, the company is launching the globally successful All-new 5' Generation Honda CR-V which has captured the imagination of SUV lovers across the world. Honda introduced the CR-V brand in India in 2003 as one of the first premium SUVs in the market. The All-New CR-V distinctly offers Fun-to-Drive performance of an SUV and Driving comfort of a sedan which makes it a perfect Urban SUV. 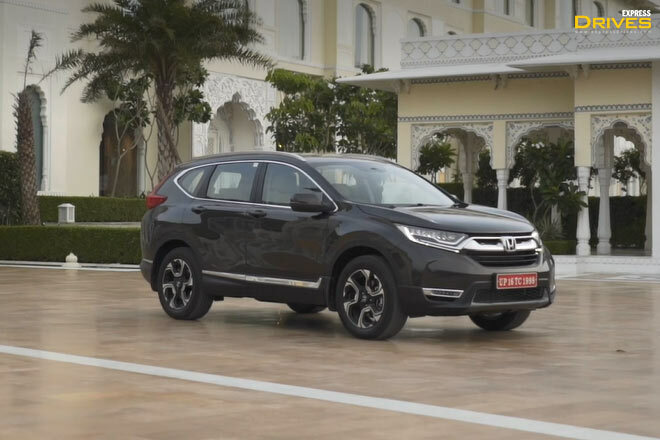 Honda strongly believes that the new CR-V has the potential to be a game-changer in Premium SUV segment and it foresees a shift in consumer preference towards core luxurious and comfortable SUVs." Honda CR-V is available with three powertrain options: 1.6 Litre diesel AWD, 1.6 Litre 2WD and 2.0 litre petrol. 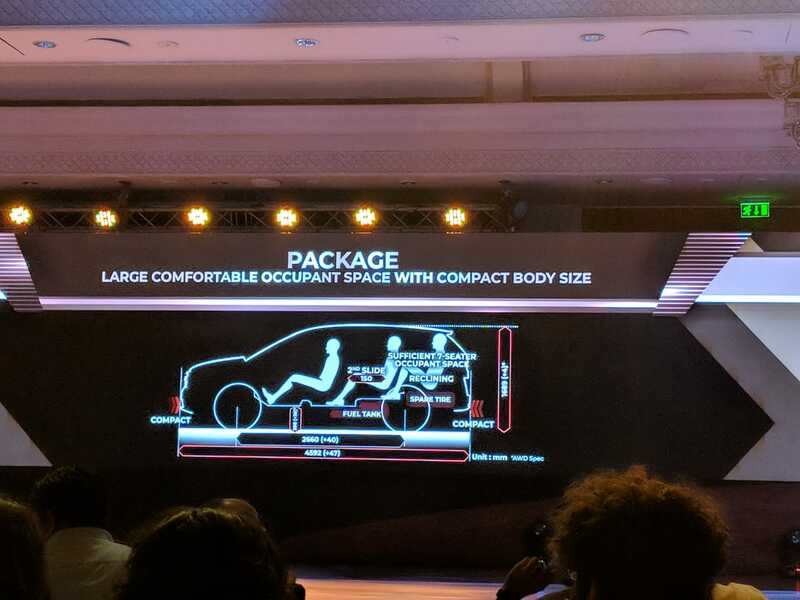 The new Honda CR-V comes with 5 an d 7 seating options. Honda CR-V for the first time gets three-row seating. The length of the SUV has gone up by 30 mm and height by 4 mm from its previous generation. Honda CR-V for the first time in India agents the 1.6L i-DTEC diesel engine. 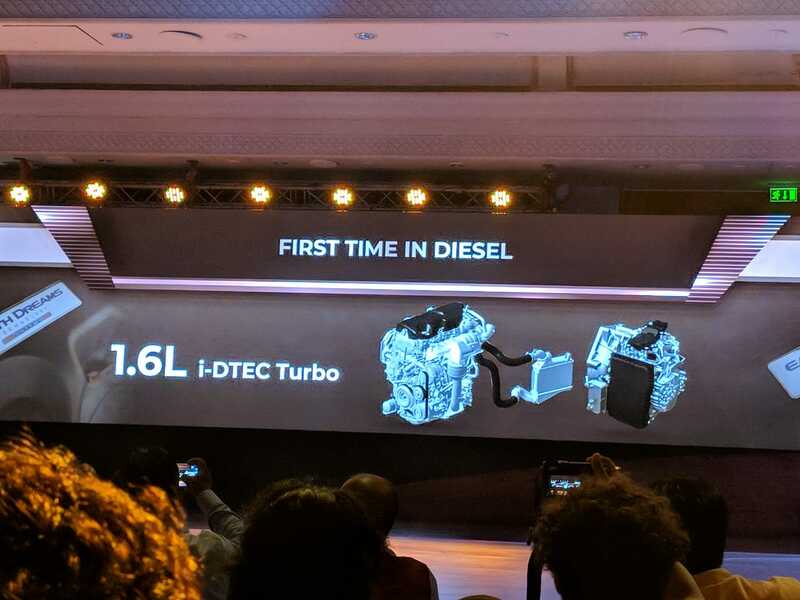 The diesel engine is mated to a 9-Speed AT gearbox. Company claims be class mileage. 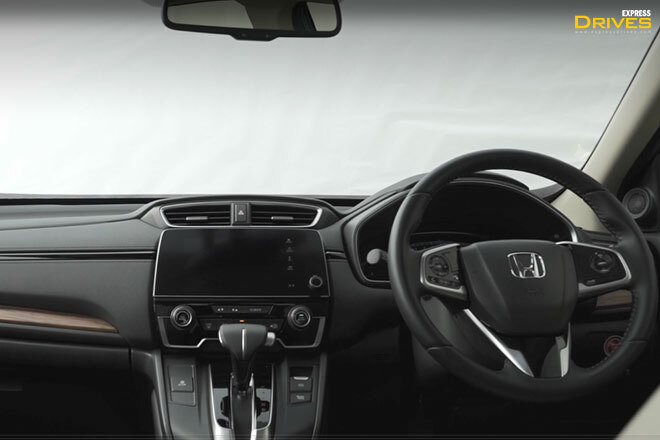 The new Honda CR-V gets safety features such as six airbags, Hill Start Assist, Lane Watch (blind spot detection), Driver attention monitor and Agile Handle Assist. The diesel engine also gets all-wheel drive option whereas the petrol will only get a front wheel drive option. Honda CR-V petrol India specification: 2-litre unit, 154 bhp, 192 Nm of torque mated to a 9-Speed Automatic Gearbox with paddle shifters. We have already driven the SUV for you here's the review. Honda CR-V diesel India specification: 1.6L diesel engine, 120 bhp, 300 Nm of torque mated to a 9-Speed Automatic gearbox with paddle shifters. The new Honda CR-V will get the seven-seat layout and will be available with both petrol and diesel engine option. The new diesel engine on the Honda CR-V will also make way on the new Honda Civic that will make its India debut next year. New 2018 Honda CR-V gets a 7-inch touchscreen infotainment system that supports Bluetooth and phone connectivity options including Apple Car Play and Android Auto. The navigation is provided by Garmin. It also gets a larger digital instrument cluster. 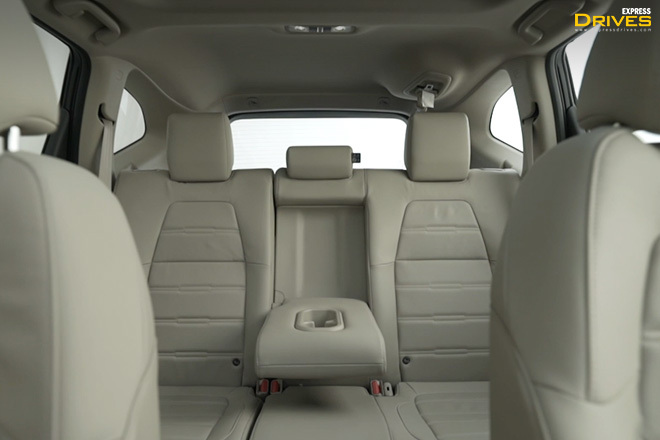 The cabin of the new Honda CR-V is now more comfortable and spacious. It gets premium quality materials on the door panels and upholstery with many in-car and segment first features. It also gets a new LCD screen and premium leather seats. The design of the new 5th gen Honda CR-V is now very angular and gets a new headlamp cluster with DRLs and LED fog lamps. It gets a thick chrome bar for the grille which is Honda's signature design. 2018 Honda CR-V now in its fifth generation is sharper, bolder and very aggressive. It will challenge popular SUVs like Toyota Fortuner, Ford Endeavour, Skoda Kodiaq and Volkswagen Tiguan. At the moment, Honda Cars have a strong sales presence in India with 341 dealership and service centres in 231 cities across the country. The new generation Honda CR-V has been on sale in the global markets and India gets it today. In India, the SUV comes via the CKD route and is being assembled at the company's plant in Greater Noida, Uttar Pradesh. 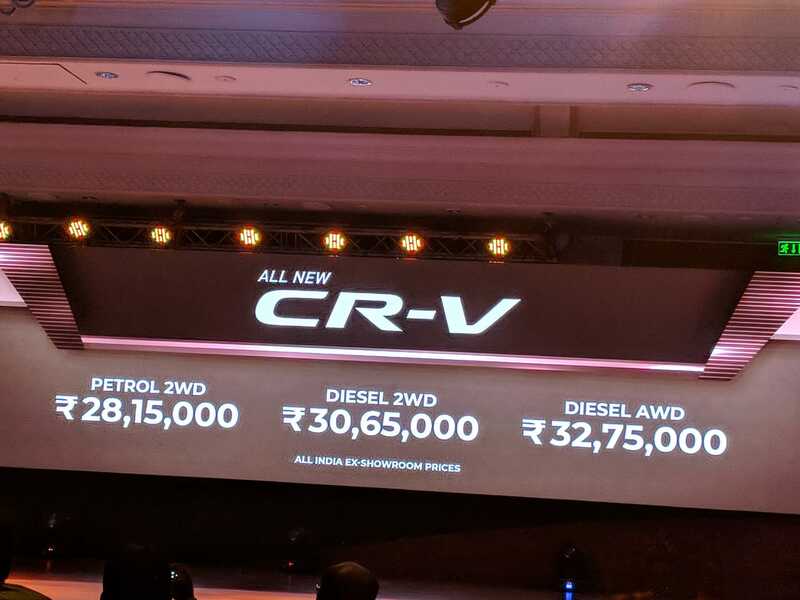 The first ever Honda Car sold in India was the City and now the company has 8 cars/SUVs in its product line-up including the all-new CR-V. Honda in India sold its first car in January 1998, HCIL reached the first 5 Lakh sales milestone in March 2012 (14 years 3 months). The journey to the next 5 lakh sales (cumulative 10 lakh) was much quicker in October 2015 (3 years 7 months) and the latest 5 lakhs (cumulative 15 lakh) have been the fastest in just 34 months. In September 2018, Honda confirmed that its crossed the sales milestone of 1.5 million units in India. The success of the cars like Honda City, Honda Jazz and Honda Amaze helped the company to sell 15 lakh cars in 20 years. The ongoing year 2018 has been a comeback year for Honda Cars in India and the company has been aggressive on all fronts. From bringing in the new 2018 Honda Amaze and now CR-V the company plans to improve upon its market share. The all-new Honda CR-V being launched today is the company's flagship SUV and has been a big success globally. It now gets more premium and looks bolder.